Javier was made for Rick Froberg, singer and guitarist from awesome bands such as Hot Snakes, Drive Like Jehu, Pitchfork and Obits. The Javier Doll is based on a cartoon character that Rick designed. Javier comes with a telephone and an icecream cone, which can be swapped at will, as they attach to his hand with velcro. 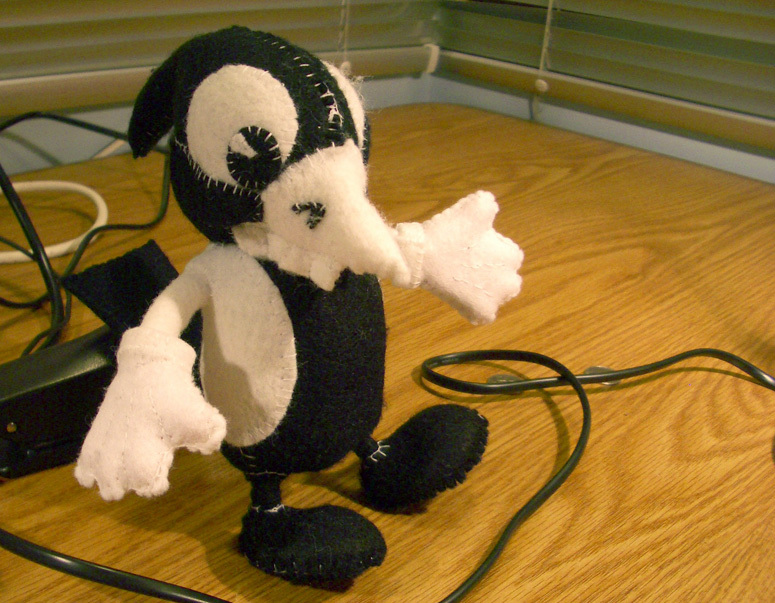 I made him in 2005 and he sat on top of the amp at the last ever San Diego Hot Snakes gig.